Well, one of the most expected times of the year has come, the vacation time. My wife and I are leaving tomorrow in a trip to Portugal. We wanted to visit Portugal for a long time and now we have this great opportunity. It is a 11 days trip, with Lisbon, Porto, Coimbra, Estoril, Faro and a trip to Gibraltar among the places we visit. So for the next two weeks (aproximatively) I will not be able to post. But I promise you that on my return home I will have photos from Portugal (if you will be interested), at least one review (I'm taking some books with me, even though "The Name of the Wind" is hard to carry) and new posts. Until we see each other again I hope you will have a great time and I send you all the best wishes. Before the wolves barged in the door, demanding that their story be told, Dorothy Hearst was an acquisitions editor at Jossey-Bass, where she published books for nonprofit, public, and social change leaders. She loves dogs but doesn't have one, and borrows other people's whenever she gets the chance. After seven years in New York City and nine years as a San Franciscan, Dorothy now lives in Berkeley, California. She is the author of "Promise of the Wolves" which I recently reviewed on my blog. Dark Wolf: I see that your career is in close relationship with books, being an editor and now a writer. Can you trace your interest in books? Dorothy Hearst: I don’t remember a time when I was not surrounded by books. When I was growing up, we had books in the family room, books in our bedrooms, and floor-to-ceiling bookshelves in my father’s den. And we would go to the library about once a week to check out more books. I was very surprised when I found out that other people’s houses weren’t full of books. Dark Wolf: Knowing both sides of this industry which one is your favorite, if any, the editor or the writer? Was it difficult to cross from one to the other? Dorothy Hearst: I really enjoy both. As an editor, I had the opportunity to work with really wonderful people and to help them share their ideas and vision with the world. I got to be a part of helping so many books come into being. As a writer, I get to go very deeply into one book at a time, and to have my entire life taken up by it. I get to submerge in the world of my wolves and find a new understanding of the craft of writing through this intense involvement. It was quite easy to cross from one to the other. I worked with nonfiction books as an editor, so I didn’t feel that the work was too similar, and everything I learned about book-crafting as an editor helped me as a writer. DW: Reading your debut novel made me assume that you are fond of animals, am I right? What inspired you for this novel and why did you choose wolves as main characters? DH: The wolves chose me. I’ve always loved dogs, and have always been fascinated by our relationship with them, and with how remarkable it is that we are so drawn to them, and they to us. I started wondering how that came to be. It’s such a visceral feeling that I was sure it had to go far, far back into our history and theirs. How did a wild wolf evolve into this creature that is so much a part of our lives? Then, I heard someone say “I’m going to write a book about how the wolf became the dog, from the wolf’s point of view.” I looked around to find out who had spoken, and when it was clear that no one else was in the apartment, I figured I could claim the idea as my own. I also believe that our relationship with the animals we share our lives with holds the secret to whether or not we will be able to take the steps necessary to save our environment. DW: The amount of research must have been huge. Did you get the chance to study the wolves up close? DH: I did! My first wolf encounter was at the Cleveland Zoo. I was at a conference for work, and the novel was still in the idea stage. I found out that The Cleveland Zoo has a wolf habitat. So I snuck away from the conference and watched the wolves for ages, and peppered the zoo’s wolf expert with questions. Then, at his recommendation, I went to Yellowstone on a wolf watching trip where I got to observe wolves in the wild. I went to a couple of wolf sanctuaries, and then found my way to Never Cry Wolf Rescue, which finds homes for wolf and wolf hybrids that people have tried and failed to keep as pets, and also takes ambassador wolves to schools and other places to help educate the public about wolves. These guys agreed to pose with me for some photos, so I actually got to pet wolves, and feed them treats. I also got to hang out with a three month old wolf pup, definitely one of the most amazing experiences of my life. Most recently, I went to the International Wolf Center in Ely Minnesota, where I got to see their pack and watch the new pups, which was incredible. DW: The wolves were and are seen as a menace, and almost exterminated, even though they do not attack humans unprovoked and for instance bears are made in nice children toys in spite their known attacks on humans. What do you think made humans act like this? DH: This question is one of the things that inspired me to write "The Wolf Chronicles". I really do believe that there’s an ancient and very profound link between humans and wolves. We have such a visceral and instinctive response to both wolves and dogs that something had to have been wired into our brains pretty early on in our development. Also, wolves and humans have strikingly similar social structures—much more so than humans and chimps. That’s why dogs fit so easily into our lives—wolf societies and human societies have so many similarities that we can transfer our social attachments to each other. Plus, wolves represent the world of nature and wildness that we’ve lost, and yet they seem so familiar to us, and so we are drawn to them. I believe that some people hate wolves for the very same reason. Because they are so similar to us, and because they are wild animals, people feel threatened by them. Some people see them as competition some see them as an incarnation of evil when there is no cause to do so. Wolves, to some people, represent the fear of the unknown and the fear of the wild. DW: What about the ravens, did they get a lot of research too? DH: They did. The work of Bernd Heinrich was especially helpful. Both wolves and ravens have the ability to form social attachments and they seem to have evolved over many years to form these attachments with each other. Ravens often scavenge from wolf kills, but it’s also believed that ravens lead wolves to carcasses or possibly even to live prey. Ravens and wolves have also been observed playing together. I used a lot of this material in developing the raven characters and their relationships with the wolves. Ravens are also often trickster characters in mythology, and I used that, as well. DW: Who do you recommend your novel to? Did you have a specific re ader target in mind when you’ve start writing the novel? 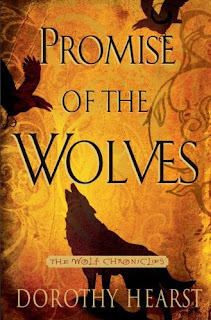 DH: When I was writing "Promise of the Wolves", I really wanted it to appeal to both adults and young readers. It was important to me to have the wolves speak to both, and my favorite books are those that reach readers of all ages. Other than that, I think it’s for anyone who wants to spend a little time in another world, or who wants to see their own world in a new way. Or for anyone who’s ever wondered what’s going on between the ears of the wolf in their living room. DW: Does your wolf characters resemble real persons or was inspired by one? DH: Kaala was pretty well-formed as a character right from the beginning, so I’m guessing there’s a lot of me in her. Other than that, all wolves are fictional characters. Any of my friends who see themselves in the wolves are imagining things. . .
DW: After I finished “Promise of the Wolves” I couldn’t stop wondering what happened to Borlla. It will be explained in the next novels of the trilogy or it will remain a mystery? DH: Borlla’s fate will be revealed in the next book. DW: What the readers should expect from Kaala and her friends in the future titles? DH: Kaala and her friends will continue to try to work out the complex relationship between wolves and humans while also dealing with the somewhat questionable motives of all the wolves in the valley. They’re adolescent wolves now, and some of the protections of childhood will be removed. They will be tested, both by things that happen to them and by their own fears and personal obstacles. And there’s romance in Kaala’s future! DW: Did you structure already your next novels in “The Wolf Chronicles” or changes may appear until the publishing time? DH: I’d originally thought of it as one book, so while I have the overarching story in place, much continues to change as I write. DW: Your novel having an ecological and environmental message, do you believe that our relationship with animals is important for us to avoid our planet destruction? DH: I do. I think that if we want to reverse the trend of environmental destruction, we must change the way we think of ourselves in relation to the natural world. Seen through the eyes of a wolf, we humans are a species who have lost our way by losing our connection with our physical environment. Many brain scientists believe that our brains evolved to seek the difference between "self" and "other" (my tribe and other, my country and other, my species and other). This mindset, which may have served us well when we were fighting for survival as early humans, is now leading us to our own destruction as we destroy an environment which we consider to be "other." The wolves provide us with our strongest remaining connection to the natural world-dogs, the one creature that we think of as part of our families, and part of self. 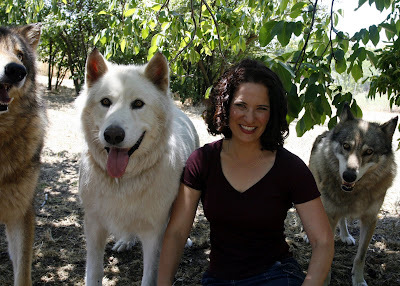 "Promise of the Wolves" and "The Wolf Chronicles" trilogy set forth the idea that if we can love something outside ourselves, we can find our way back to being a part of the world we live in, and perhaps stop destroying it. Thank you very much for your amiability and for your answers. It was an honor and a pleasure. 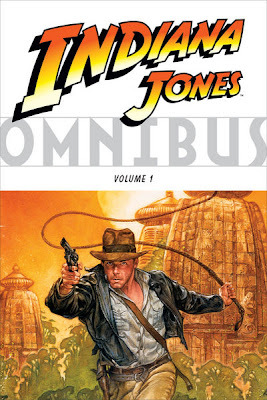 "Indiana Jones Omnibus Volume 1"
I have to start by confessing that I really like Indiana Jones, as a character, and also the movies featuring him. When I get this volume I was thrilled, because I had the opportunity to read the comics featuring this character. This Omnibus volume gathers three stories, published before as comic books series, and offered to Indy and adventure fans once again. “Indiana Jones and the Fate of Atlantis”, story by Hal Barwood and Noah Falstein, Lucasfilm Games, script by William Messner-Loebs, Dan Barry and Mike Richardson, pencils by Dan Barry, inks by Karl Kesel and Dan Barry, colors by Lurene Haines and Dan Barry, letters by Gail Beckett – In the first story of this volume, Indiana Jones finds an old artifact discovered on a previous expedition and inside this horned idol an energized metal, orichalcum, associated with the lost continent of Atlantis. Helped by a former colleague, Sophia Hapgood, he tries to locate Atlantis and the source of the orichalcum. But on their steps are the Nazis that seek the same source as Indiana Jones. “Thunder in the Orient”, script by Dan Barry, pencils by Dan Barry and Dan Spiegle, inks by Dan Barry, Andy Mushynsky and Dan Spiegle, colors & letters by Gail Beckett – Indiana Jones and Sophia Hapgood find some scrolls that relate about an ancient document written by Buddha, which can change all the aspects of the various Buddhist religions. But they have to get it before a Japanese general reaches it. “Indiana Jones and the Arms of Gold", script by Lee Marrs, art by Leo Durañona, colors by Matthew Hollingsworth, letters by Steve Haynie – In the final story of this Omnibus edition Indiana Jones helps a colleague to track her missing brother. The adventure leads Indy in South America, after a pair of golden arms that can bring her wielder a great power. Once again Dr. Henry Jones Jr. has to save the day and the world from maniacs that seek word dominion. This volume is a very good collection of Indiana Jones stories. First thing I liked at this omnibus was the cover art of the three stories. They are made available at the beginning of each adventure. And I really liked the illustrations made by Dave Dorman, Hugh Fleming and Russell Walks. I liked the art of the comics too, with a great minus for the third one. The first two stories have a good art and good drawings, with the atmosphere of the Indy movies well caught and made. In the third story I didn’t liked the art, mainly because it seems impersonal, unfinished and roughly made. Because of that I didn’t feel anything for Indiana Jones and even I disliked his appearance in this story. The stories are good having the same interesting adventures that follow Indiana Jones. They benefit of a lot of action, carefully build, with a good pace and with the amusement of some situations. Here the dialogues catch the feeling of Indy movies having some smart and funny replies and the stereotypes used by Dr. Jones. Unfortunately I will have to say that again the third story lack to entertain me. Like the art of the third adventure I didn’t liked the story either. The situation in this case seems rather odd and superficial. The pace is slow and with scenes that doesn’t help the story or the action. Also when you see from time to time mentions like “An hour later”, “Hours later” or something alike it can be annoying. I mean I know the time is passing in the story without being pointed out. Overall “Indiana Jones Omnibus Volume 1” has two good and catching stories out of three and that makes it an interesting and enjoyable read and a great joy for Dr. Henry Jones Jr. fans. I was always curious about the works of various writers, but when it comes to novels written in collaboration my curiosity grows even more. So it’s the case with “Mind the Gap”, a novel written together by Christopher Golden and Tim Lebbon. Jazz has been taught by her mother that she has to be always in alert and prepared to run and hide. One day returning from school she has to apply her mother teachings after she finds out that her mother was murdered. Jazz hides in the London underground and here she finds a group of outcasts that adopt her. When it seems that the “Uncles” that killed her mother and made her run have a connection with the outcast leader the mystery becomes deeper. “Mind the Gap” is the first novel in “The Hidden Cities” series. Christopher Golden and Tim Lebbon made an interesting collaboration and an interesting novel. Their novel starts in style, building the mystery and keeping the reader close to the action. After the beginning of the novel, even though the pace is kept on a good rhythm, I felt that the action is slowed down. In this rhythm the story is growing and towards the end the action is increased again. And that is the part I enjoyed the most, high paced, with twists and turns and an unpredictable end. I liked the characters of the novel and you can see the talent of the authors in this field. Although only some of them have in depth characterization they are well made and attractive. I liked Jazz and although I will not make her one of my favorite characters ever I was interested in her destiny and in the outcome of her adventure. Also I liked Terence and Harry two interesting characters. I would have liked to see one or two of the “villains” developed, but I believe that in that case the pace would have suffered more so I’ll pass this by with no regrets. I liked the mix made by Christopher Golden and Tim Lebbon with mystery, ghost story and fantasy. I enjoyed the magic of the great city, I liked the description of the ghosts and I enjoyed the “Hour of Screams”. I liked the machinery present in the story and the idea behind it. 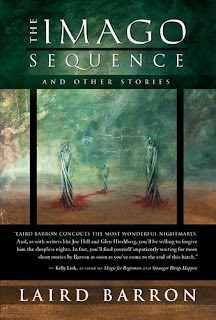 I could see the authors experience in horror stories in the violent scenes, not many but well made. Another thing that attracts me on “Mind the Gap” was the setting. The authors made an excellent work with London, making the city a character of the novel. Besides the descriptions of the actual city I could see his background made like the personal history of a character. Christopher Golden and Tim Lebbon made me see London in this story like a character that is trying to heal his wounds and move forward in his life. 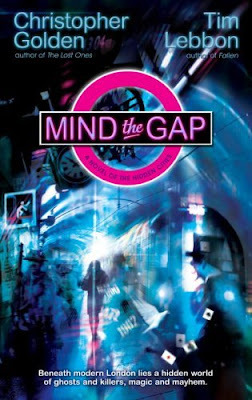 “Mind the Gap” is an interesting novel and I believe that after this first collaboration between Christopher Golden and Tim Lebbon their work together can only improve. Last week it was our 3rd wedding anniversary so me and my wife took off for the past week-end and therefore the lack of posts. It was a little getaway before the big vacation which will start on August 1st. But until then we will meet for a couple of posts, including reviews of Christopher Golden & Tim Lebbon's "Mind the Gap" (it was finished for a while, but I'm only now working at the review) and of the graphic novels gathered on "Indiana Jones Omnibus, volume 1". Until then a couple of news received while I was away. Virgin Comics, an international comics publisher, and Perspective Studios, a leading producer of digital animation, announced today a groundbreaking collaboration with acclaimed comics scribe Grant Morrison on MBX, a new intellectual property and animation franchise based on India’s iconic myth The Mahabharata. Morrison’s re-imagining of the epic tale of two families at war and the fate of the universe that hangs in the balance features an ancient world fused with incredible technology and super beings. At San Diego Comic-Con 2008, animation for the project will get its first public look. MBX is a flagship title in a Virgin Comics and Perspective Studios ongoing joint venture formed in November to co-produce a diverse range of original animation and publishing properties. The companies expect to announce several animated MBX projects in the coming months, including feature film and video game adaptations. 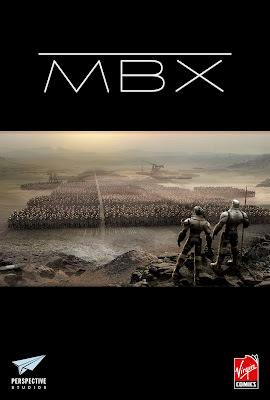 At this year’s San Diego Comic-Con, both companies as well as Morrison will be on hand to debut an exclusive MBX trailer created by Perspective Studios together with a limited-edition sketchbook. Grant Morrison will be joining comics legend Stan Lee on a panel on Thursday, July 24th at 10:45-11:45 am in Ballroom 20, when the MBX trailer will have its world premiere. Grant Morrison's MBX Sketchbook, a limited-edition print (1000 copies only) featuring mind-bending insight from Grant Morrison, beautiful concept art from Mukesh Singh (Jenna Jameson's Shadow Hunter, Guy Ritchie's Gamekeeper), script excerpts and more, will be sold exclusively at the Con. Perspective Studios is an industry-leading CG production house specializing in television, commercials, feature film and video games. With a portfolio of marquee attachments and co-productions, original IP developments and client service work, the company successfully defines a new model for the next-generation 3D animation firm. Perspective Studios' globally distributed team, headquartered in New York and Santa Monica, boasts skills in story and concept art development, character and environment modeling, crowd simulation, texturing, lighting, compositing, sound design, cinematic and voiceover direction and talent casting. Each of the company's facilities incorporates advanced, real-time full body motion capture with virtual camera, pre-vis and facial animation technologies. Animation by Perspective Studios has been seen in projects for Rockstar Games, Psyop, The Mill, MTV Games/Electronic Arts, THQ, Nickelodeon and many others. For information, visit http://www.perspectivestudios.com/ or contact 516/671-7505 (New York) or 310/451-6700 (Santa Monica). Stephen Hunt, the author of the novels "The Court of the Air", "The Kingdom Beyond the Waves" and the forthcoming "The Rise of the Iron Moon", has started a social network on Sf Crowsnest named Hivemind. Welcome to SFcrowsnest Hivemind, the social network for science fiction and fantasy fans. If you're looking to converse and make friends with fellow science fiction & fantasy fans, then you have arrived at the right social networking service. We start at A for Asimov, move on through S for Star Wars (or possibly Star Trek, if you have odd-looking textures on your forehead), and end on Z is for Zelazny. And you can even stop off at B for Bladerunner and Battlestar, or C for Conan of Cimmeria, if you want to travel the long way round. Enjoy. Depending on the free time I'll try to spend some here. - "The Carhullan Army" by Sarah Hall (through the courtesy of Faber & Faber). - Pat, at Pat's Fantasy Hotlist, has a copy of "Sly Mongoose" by Tobias S. Buckell to offer. As you can see a lot of interesting things. "The Stowaway: Stone of Tymora"
As I've told in a previous post R.A. Salvatore and his son, Geno Salvatore, worked on a Young Adult novel, "The Stowaway: Stone of Tymora", which will be published by Mirrorstone on September, this year. 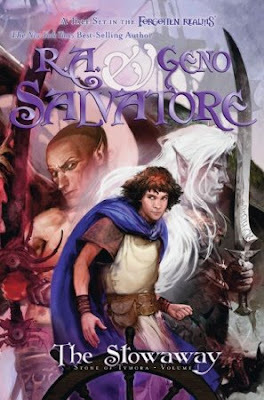 Since then I discovered on R.A. Salvatore's website the new cover art for this interesting novel. Barely a teen and already guarding a secret that could jeopardize his young life, Maimun is marked for death. With the help of a mysterious stranger, the boy escapes his village and flees out to sea, stowing away on the pirate hunting ship, Sea Sprite, where he comes across a most unlikely ally: the dark elf Drizzt Do'Urden. With a half-demon determined to destroy him, and a crew of sailors resentful of the trouble he's caused, Maimun must find the courage to prove his worth, both to his friends and to himself. 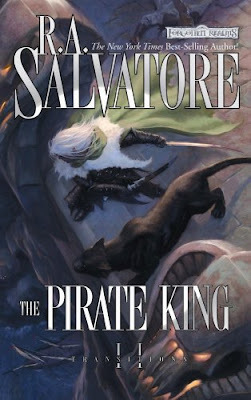 Nearly two decades ago, R.A. Salvatore introduced the world to Drizzt D'Urden in a series that has since become a fantasy classic and a consistent presence on best seller lists. Now, for the first time, Salvatore partners with his son Geno to craft a brand-new story just for young readers, featuring a cameo of the most beloved fantasy character of all time. 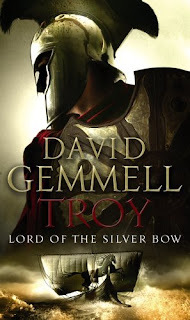 For young readers seeking the next great fantasy saga or for long-time fans who can't miss any installment in the Drizzt saga, this book delivers all the action, intrigue, and magic you've come to expect from the Salvatore name. R.A. Salvatore is the author of forty novels and more than a dozen New York Times best sellers, including "The Two Swords" which debuted at #4 on the New York Times best seller list. Geno Salvatore has collaborated on several R.A. Salvatore projects including Fast Forward Games "R.A. Salvatore's The DemonWars Campaign Setting" and "R.A. Salvatore's The DemonWars Player's Guide". He co-authored "R.A. Salvatore's DemonWars Prologue", a DemonWars short story that appeared in the comic book published by Devil's Due Publishing. He is a recent graduate of Boston University and lives in Massachusetts. Dorchester Publishing and Circle of Seven Productions have teamed up to present a contest offering a once-in-a-lifetime opportunity for amateur and professional filmmakers who also love books. 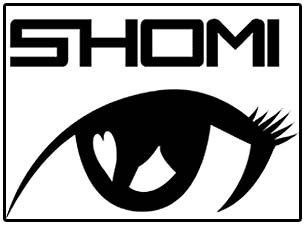 Participants will create book trailers based on their favorite novel in the SHOMI series of modern-day fantasy fiction. The best trailer—as selected by internationally bestselling author Stephen King—will be shown at a movie premiere in New York City as well as a theater in the winner’s home market. Book trailers—which are similar in style, content, and technique to movie trailers—are a powerful and increasingly popular method for communicating why a particular novel or series of novels is a ‘must read.’ A memorable short film can visually highlight a book’s most compelling elements and draw viewers into the story and the author’s universe, making a prospective reader want to know more. For more information on SHOMI and complete rules for the contest, including submission guidelines and deadlines, please visit http://www.shomifiction.com/. Stephen King is the internationally bestselling author of over 40 books and the recipient of The National Book Foundation Medal for Distinguished Contribution to American Letters, 2003. He lives in Maine and Florida with his wife, novelist Tabitha King. For more information, please visit http://www.stephenking.com/. Dorchester Publishing has been publishing mass-market books since 1971, making it the oldest independent mass-market publisher in America. In addition to building the careers of New York Times bestselling authors such as Christine Feehan, C. L. Wilson, and Marjorie M. Liu, Dorchester distributes the award-winning Hard Case Crime line of pulp mysteries and the Cosmos line of SF/Fantasy novels. Dorchester novels are available wherever books are sold and online at http://www.dorchesterpub.com/. Circle of Seven Productions created the Book Trailer market in 2002 and is the leader of book trailer production in the United States. Circle of Seven Productions encompasses a network of experienced, professional production partners who have won awards, created commercials for high profile companies and created music videos for well known celebrities. For details regarding their video distribution platform, please visit http://www.cosproductions.com/. Through the wonderful Wonderlands community I found out about the GUD competition. GUD is a spec-fic magazine that features art, flash fiction, genre fiction around a theme. GUD Magazine is preparing to launch issue#3, an issue that has Mechanical Flight as theme. They're running a Pre-launch Buzz Contest, if you blog about their contest you are entered in the competition for A FULL SET OF GUD, HARDCOVER (Issues 0-3). You can find the full contest rules on GUD Magazine website. They have also two bonuses there and the full content of the third issue of GUD Magazine. With the help of Locus Online I found out the winners of Shirley Jackson Awards. 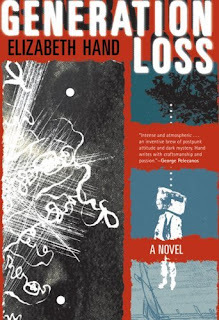 This is the first edition and according to The Shirley Jackson Awards website the awards "have been established for outstanding achievement in the literature of psychological suspense, horror, and the dark fantastic." And another type of winner you can find in me. 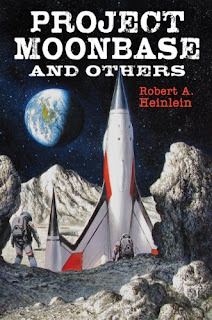 I'm one of the fortunate winners of one copy of "Project Moonbase", a collection by Robert Heinlein, offered by FantasyBookSpot and Subterranean Press. Thank you very much for this prize! I know that it has been a while but with a busy time lately I forgot to take photos of the books that I received. So here they are. - "Conan, Born on the Battlefield" by Kurt Busiek & Greg Ruth (through the courtesy of Dark Horse). Thank you very much for this wonderful treasures. Dorothy Hearst’s debut novel “Promise of the Wolves” is the first one in “The Wolf Chronicles” trilogy. Kaala is a she-wolf born in the Swift River pack, but with a mixed blood, her father being an outsider of the Wide Valley. Because of her heritage she is almost killed by the pack leader, saved by the Greatwolves, and her mother is cast away from the pack because she broke this rule. Kaala bears the mark of a prophecy also and she is seen with bad eyes and dangerous by some members of the pack because of that mark. After her encounter with humans it seems that that prophecy is about to be fulfilled. “Promise of the Wolves” is set 14,000 years ago and I could see a prehistoric world. Beside the wolves which are the main characters of the story, the world is inhabited by mammoths, long-teeth, elkryn, ravens, which are very funny and made me laugh a couple of times, and humans, still at the beginning of their development. I liked how Dorothy Hearst describes the wolf pack, and I could read about the hierarchy in such a pack, about the body language of the wolves, about the hunting techniques and in this sense her novel is like a documentary. And so my love for dogs and wolves was satisfied by the realism of the descriptions. The novel is centered on Kaala and the story follows her first year of living. Dorothy Hearst builds a strong character in Kaala and one that is enjoyable. “Promise of the Wolves” follows her story and I could see her difficulties, her joys and sorrows. I could see Kaala trying to survive a harsh world, trying to make friends and trying to become a member of the pack. I liked the trials that the pups have to pass to become a member of the pack and a true wolf. I liked to see them trying, to see their feelings and the relationship between themselves. Sometimes Kaala and the other pups encounter difficulties and situations that resemblance our human problems that for some moments made me forget that the characters were wolves. I enjoyed the ravens too and their presence made the novel more enjoyable. I liked their rhymes and their annoying, but humorous, remarks and Tlitoo is a character as strong as the wolves are. I liked the link between the wolves and the ravens and the story made me see these birds in a different light. The relation between wolves and humans is an interesting one and as I read I could see the relation that we make with dogs. Throughout my reading I asked myself about our attitude towards the animals that inhabit our world and our behavior towards the world we live in. 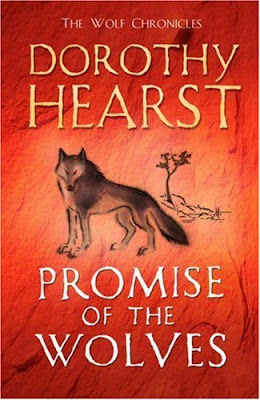 Dorothy Hearst’s “Promise of the Wolves” made me ask myself once again why the wolves are seen as a menace and why they were hunted down almost to their extinction point. After I had finished "Corsair" I started to investigate the cover artist, Larry Rostant. 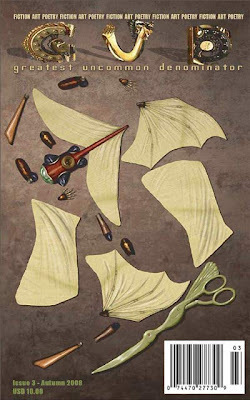 I liked the cover made for "Corsair" and even though I didn’t find any personal information about the artist I found some information about his works. Larry Rostant is an illustrator and a photographer. 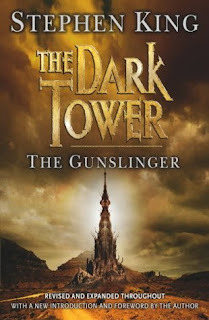 He is a constant presence in cover art and he illustrated the covers of novels from different literature genres, such as fantasy, historical fiction, suspense, adventure and romance. Some of the novels that benefit of his art are written by Stephen King, Garth Nix, David Gemmell, Clive Cussler, Robin Cook, just to name a few. 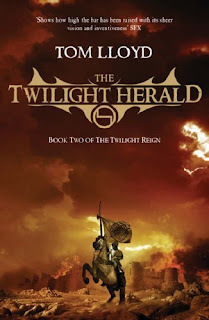 I particularly like his covers for historical fiction novels, finding them different from other fantasy art I’ve seen, but enjoyable none of the less. At his personal website you can find a great number of his works. International Horror Guild announced the nominations for the IHG Awards for works from 2007 and also they named this year's International Horror Guild Living Legend. 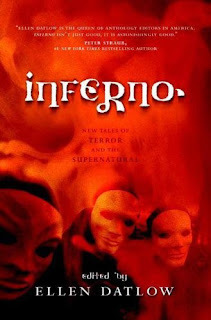 The International Horror Guild was created in 1995, originally the International Horror Critics Guild, as a way to recognize the achievements in the field of Horror and Dark Fantasy. The IHG Awards are determined by a jury of notable knowledgeable horror, dark fantasy critics and reviewers. Nominations are derived from recommendations made by the public. Edward Bryant, Stefan R. Dziemianowicz, Ann Kennedy, and Hank Wagner currently adjudicate. Paula Guran is the award administrator. Peter Straub has been named as this year's International Horror Guild Living Legend. "Warnings to the Curious: A Sheaf of Criticism on M.R. James" - Rosemary Pardoe & S.T. Joshi, eds. Elizabeth McGrath for "The Incurable Disorder"
Chris Mars for "New Salem"
Mike Mignola for cover & illustrations: "Baltimore, or The Steadfast Tin Soldier and the Vampire"
The Awards will be presented on October 31, 2008 in an online presentation via its Web site, horroraward.org. For more information visit International Horror Guild Award website. I was familiar with the non-fiction works of Tim Severin and I find his retracing travels interesting, but “Corsair” is my first encounter with his fiction. Hector Lynch, a young man from an Irish father and a Spanish mother, is taken into slavery when his village is attacked by pirates. He is sold in Algiers and here he befriends a Miskito Indian, Dan. Together they try to find a way out from slavery and also they try to find Hector’s sister, Elizabeth, who was taken in the same raid as her brother. Tim Severin creates an interesting story and a captivating adventure. Throughout the pages of the novel you can see the author’s love for history and his vast experience in sailing. The author treats the maritime aspects with care, properly detailing it, but not going too deep in those details and becoming boring for those unfamiliar with sailing terms. The action of the novel being set in the 17th century I could only guess the amount of time spent in research by the author in the descriptions he used. Combining his sailing experience with his researches Tim Severin creates wonderful descriptions, detailing clothes, cities, ships and customs in the way that made me see and feel those times in history. His historical fiction, “Corsair”, seems realistic because of his care for details and his descriptions. The novel being an adventure is full of action and I could find many high paced moments. But, unfortunately, sometimes the action is slowing down and touching an almost lethargic point. Fortunately, these moments are balanced with those of action and also they are compensated by the descriptions of the new places. So even though the action slowed down I enjoyed the descriptions of the new places encountered and the information I could find there. And the novel doesn’t lack this information with his help I learned some new things that I didn’t know before. The characters are interesting. Hector Lynch is a nice guy and I was sympathetic with his cause. He is educated, charismatic and very lucky. Sometimes he seems too lucky, but if he were not we wouldn’t have had his adventures (and I’ve met some incredible lucky people in life too). I would have liked to see more of the psychological aspects of the character. His emotions and his fears are touched only on the surface level, I read about them only on some occasions. The other characters are a little underdeveloped, some of them with interesting background, some with glimpse of their past and some with attractive personalities, but I think that they could be farther developed. 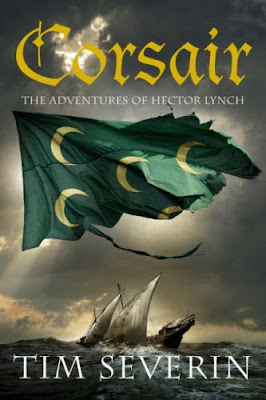 Overall I found Tim Severin’s “Corsair” an entertaining read, one that satisfied my old attraction for sea and sea heroes which I developed in other works like Jules Verne’s “A Captain at Fifteen”, Daniel Defoe’s “Captain Singleton” and Rafael Sabatini’s “Captain Blood”. My blog will be silent for the next 4 or 5 days, because I have to go on a business trip in Poland for the next couple of days. I look forward to post again and until then I wish you the best of luck and an excellent week-end. 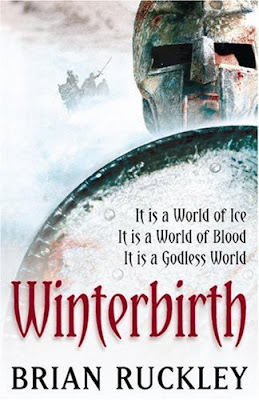 “Winterbirth” is the debut novel of Brian Ruckley and it is an epic fantasy set in a world that resemblance medieval Europe. The northerner inhabitants of this land, named the Bloods of the Black Road, start a quest to retake what they consider to be their former territory. They attack and take a few towns set on their southern frontier, but their attacking force is deemed because is composed by one single clan from their Bloods. Also their leader tries to fulfill a promise made to his dying father and the southerners face their own animosities and ambitions. The story made by Brian Ruckley is a complex one. On the panel of the principal plot the author develops some attracting subplots, ancient conflicts, ambitions, treasons and religious fanaticism. At start the novel can be confusing, but as I advanced it unfolded its layers in a hooking manner and I was caught until the end. At first the names contributed to my confusion, they resemble Gaelic language, but after I get used to them I didn’t had any problem. I think that the strongest point of the novel is the worldbuilding. Brian Ruckley introduced me in a harsh world, but a carefully build one. He shows glimpses of the past of this world (and I hope that he will develop this idea in the next novels of the series, because I find it interesting) and leads the reader to the present background. The world is inhabited by five races (four actually, because one is extinct) and every one of them has its own particularities. I liked how the author build this races, every one of them with its own believes, with its own rituals and its own principles of conduct. The two major races present in “Winterbirth” are divided in two major fractions that are in conflict one with another. I liked how the author divided the races as well, the Kyrinin between the White Owl and Fox clan, with their conflict, and the Huanin, between North and South with their old religious conflict. The Huanin are ruled by different Bloods, which is the ruling class, and every Blood has his own ambitions and conflicts, seeking their own interest in wealth and power. Very interesting characters are the na’kyrims, a crossing between the Kyrinin and Huanin, and they are the only ones capable of using magic (which is only slightly presented in this novel). Another strong point of the novel is the characterization. I like how the author builds his characters, how he grows them and how the author speaks through them, presenting their stories in a manner that doesn’t incline the balance in the “good” or “bad” sides. Some of them didn’t attract me too much, not that I didn’t like their stories, and some of them I really liked. And I’m very interested in following their course. I liked Kanin, a northerner invader, the heir of the Horin-Gyre Blood, I liked Mordyn Jerain, the chancellor of the Haig Blood, Taim Narran, one of the military commanders of the Lannis-Haig Blood fighting forces and some of the Inkallim, these being the elite forces of the North and ones that I find very attractive. Other thing that I really liked was the battle scenes. Brian Ruckley did a very good job here, and I was under the impression that these scenes are visual. The author manages to create a realistic image of battles, with a very pleasant feeling of motion, with well constructed tension and with running action. I liked also some things that I think are only partially introduced in the story, like the magic, used only by the na’kyrims and the religious aspect and the story behind this aspect. I will look forward for these aspects in the next novels of the trilogy. Brian Ruckley’s “Winterbirth” is the first novel in “The Godless World” trilogy, one which is a very entertaining and catching, which pleased me a lot. I know I haven't review much lately, but I have some busy times at work and with the football European Championship in progress it wasn't much time left for other things. The European Championship is over now, at work still busy, with the possible business trip ahead (this Thursday I think), and I finished "Winterbirth" by Brian Ruckley. I work at my review right now and I think that it will be ready until tomorrow. Today I will try another meme, the list made by Larry and one that I find really interesting, even though I'm certain that I will do worse than the previous post. 4) Reprint this list in your own so we can try and track down these people who've read six and force books upon them. And like yesterday I would mark those I like, because I still don't know how to underline here. 17 out of 100, pretty bad. I know that I read other works of some authors from the list, but also I have to be honest and to admit that of some of them I didn't hear until now. I don't know if underline works here, so I'll just add a symbol next to those I love. 41 out of 100, I've expected worse. Half of the year has passed and it seems that it was fast, but the time can be tricky, it doesn't go any faster or any slower than the usual rhythm, it only seems like is doing so. It was a good year so far, with goods and bads, but fortunate enough the good things are in a greater amount and the bad things are far to few. I've started this blog which gave me a new occupation, but with wonderful time spent here. And I gained much since I've start blogging, I met new people, I had the pleasure and honor to talk to some of the authors I've read and the most important I made new friends. I read the best novel I've met in years, Carlos Ruiz Zafón's "The Shadow of the Wind". I'm looking forward for the next half of the year (with the hope that the time will seem to pass slower) knowing that in less than a month I will go in the much awaited vacation, with a visit in Portugal, with the hope of meeting Jeff VanderMeer, he will be in Bucharest at the end of August, and with the hope for other interesting and enjoyable reads. Drizzt Do'Urden is one of my favorite characters in literature and I really love following his adventures. I read the novels featuring the legendary drow elf with great pleasure and I can't wait to follow Drizzt's footsteps in the new "Transitions" novels. Drizzt is back in action again, and bringing more changes to the Forgotten Realms setting. This all new hardcover adventure will keep Drizzt fans guessing the whole way, with edge-of-your-seat action and plot twists that even the most casual reader of the Forgotten Realms novel line can't afford to miss! I'm looking forward for this novel, but also I was waiting for the new cover art with interest. Since yesterday evening my wait is sweetened, because I had a look on the cover art of "The Pirate King" made by the very talented Todd Lockwood. 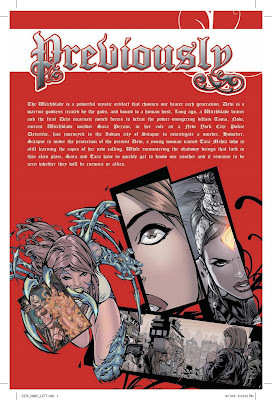 In this comic series two beautiful and powerful heroines team up to form a strong alliance, Devi and Witchblade. Sarah Pezzini, the bearer of Witchblade, investigates a series of homicide in New York and she is lead in the city of Sitapur, India. Here she meets Tara Mehta, the present Devi that protects the city. Together they will face the demon Tama and his servants. In “Devi/Witchblade” I liked the drawings. I liked how the setting and the characters are drawn, especially the demon Tama and the darinde, as are named the undead servants of the demon Tama. I liked also the vision that the heroines have at their encounter. The story is a simple one. I find it a little underdeveloped and the storyline seems hasted sometimes. I mean that some things seem to happen all of the sudden and sometimes it seems that the author is jumping a few steps. I liked the humor present in the dialogues and I liked the scene in the bad cop/good cop scenario with the amusing conversation between Witchblade and a darinde. “Devi/Witchblade” is an interesting comic book, with an interesting collaboration that with certainty will be enjoyed above all by the long fans of the two heroines. 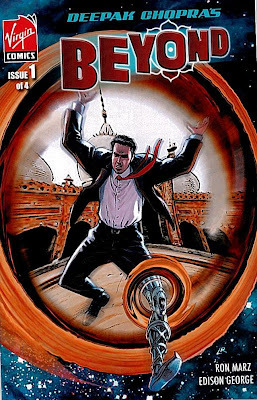 “Beyond” is a new title of Virgin Comics, created by Deepak Chopra, with the script written by Ron Marz and the art made by Edison George. The story follows a family that is spending a vacation in India. The woman, Anna, disappears during this vacation and her husband, Michael and her son, Ty, begin the search of her. They are helped by a strange woman and in their search they arrive at a mysterious dimensional door. I have to admit that I didn’t liked or enjoyed the drawings too much. The drawings seem rather simple and not very reach in color. This little range of color throws a grey light over the atmosphere, one that I don’t believe that is sustained fully by the story. Because I didn’t find the drawings on my liking I didn’t liked too much the characters either. On the other hand the story is an interesting one and captivated my attention. The mystery is well build and as I advanced I’ve got some clues and some elements of it unfold, but I’ve got some new elements that complicated the story (in a pleasant way) too. One thing bothered me, the presence of a comic book in the story, of which I didn’t find the use. But that didn’t stand in my way of enjoying the story. Overall despite my reserve for the drawings the story was good and kept me interested and also curious about the next two issues of “Beyond” and the outcome of this mysterious disappearance.